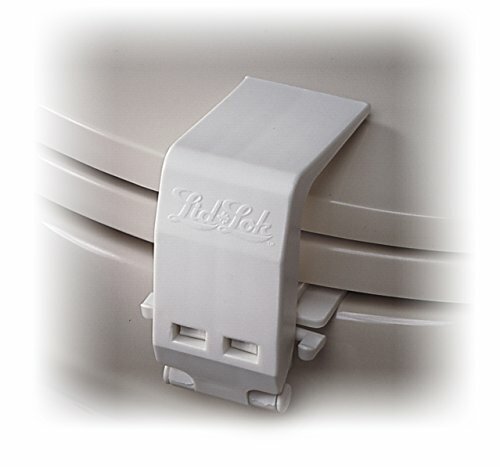 For the most secure toilet lid fit this product should be used on lid and seat rings ranging in size from 2" - 2.5"
Product will fit on toilet bowl rims ranging in depth from 1.25" - 3" A large "L" shaped bracket and a small "L" shaped bracket are included for adjusting toilet bowl rim fit. Large "L" bracket is adjustable by 2", Small "L" bracket is adjustable by 1"
4 Spacers included to tighten fit to toilet bowl. For oval shaped toilets the lok should be placed slightly back from where the lid begins to curve.